Healdsburg is situated amidst the three most important wine regions in the country, giving this town accolades including continuous award as one of the “Top 10 Smallest Towns in America”. 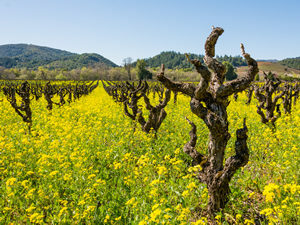 With the Russian River, Dry Creek, and Alexander Valley in the surrounding area, Healdsburg is yet another charming gateway to wine country. With its central plaza, from the 19th century, Healdsburg has impeccable charm that is only rivaled by its mild climate and strong senseof community.